The deadliest attack on LGBT people in U.S. history is being remembered in powerful new ways on its 41st anniversary, including a new film, book and online exhibit. 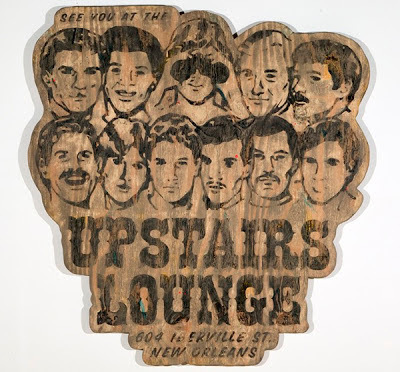 An arson fire killed 32 people at the UpStairs Lounge, a gay bar in New Orleans, 41 years ago today on June 24, 1973. Few people cared about the UpStairs Lounge fire at the time. The crime was never solved, churches refused to do funerals for the dead, and four bodies went unclaimed. Now there is a resurgence of interest. The newest materials, all made available within the last 12 months, are the trailer for documentary “Upstairs Inferno” from filmmaker Robert Camina; the book “The Up Stairs Lounge Arson: Thirty-two Dead in a New Orleans Gay Bar, June 24, 1973” by Clayton Delery-Edwards; and an award-winning online exhibit at the LGBT Religious Archives Network. “Upstairs Inferno” will be the first to interview several survivors who have kept silent for decades. The documentary is being produced and directed by Camina, whose previous film was the widely praised “Raid of the Rainbow Lounge” about a police raid at a Texas gay bar. Now he aims to create the most comprehensive and authoritative film on America's biggest gay mass murder. A trailer has been released while a fundraising campaign is underway for funds to complete the film. The anticipated release date is fall 2014. Other recent works about the fire include he musical drama “Upstairs” by Louisiana playwright Wayne Self It is playing in New York this month after opening in New Orleans and Los Angeles in June 2013. Also in 2013 the New Orleans Museum of Art acquired Louisiana artist Skylar Fein’s major installation “Remember the UpStairs Lounge.” The tragedy is also recounted in a documentary by award-winning film maker Royd Anderson released on June 24, 2013, and in the 2011 book “Let the Faggots Burn: The UpStairs Lounge Fire” by Johnny Townsend. A gay man may have lit the fire, but the real culprit is still society’s homophobia that set the fuse inside him. Homophobia was also responsible for the high death toll in another way. The fire was especially deadly because the windows were covered with iron bars and boards so nobody could see who was inside. But they also prevented many people from getting outside in an emergency.